I have owned my Alberta outfitting business for over 20 years. 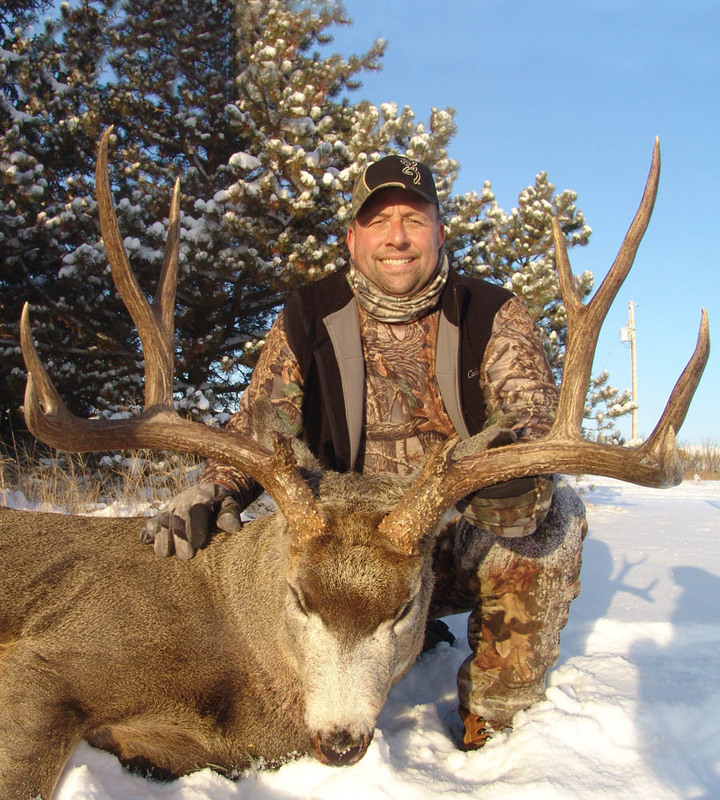 At North Star Outfitting we personally guide whitetail deer hunts, mule deer hunts, black bear hunts, moose hunts and waterfowl hunts. When you book a hunt with us you will be accompanied by a professional hunter who is focused on the specific species you are hunting. 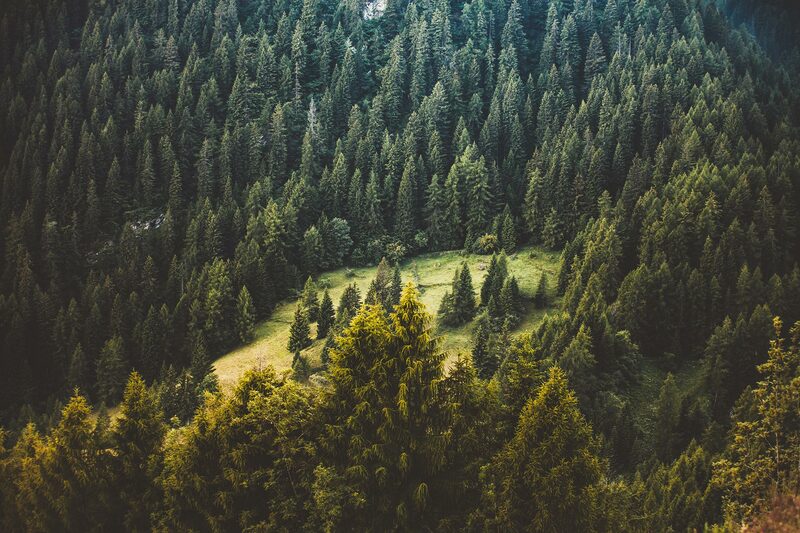 We know what it takes to make your hunt successful and enjoyable. Our guides were born and raised in this area and know the hunting area and the behaviors and patterns of the animals we hunt. 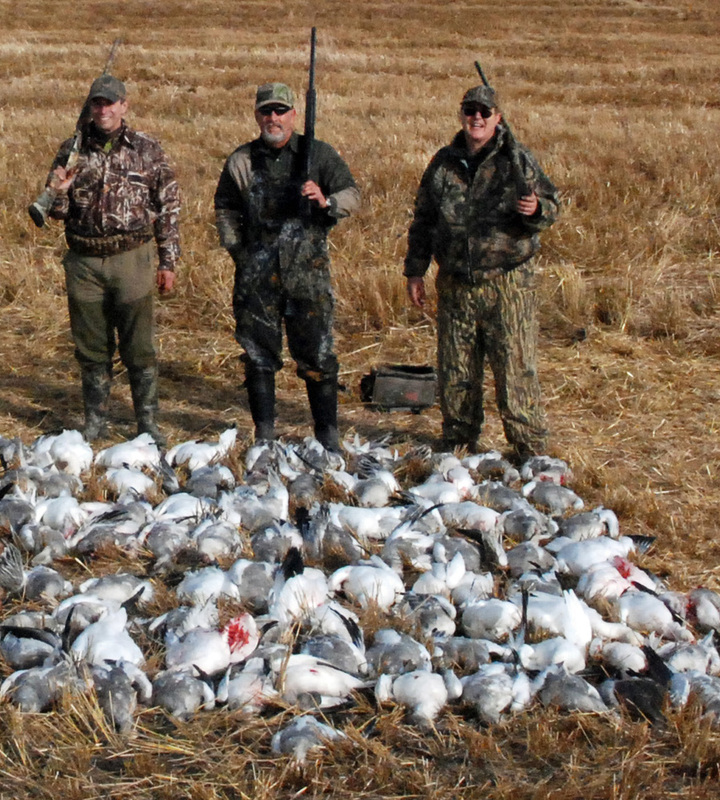 We hunt about 100,000 acres in north eastern Alberta. 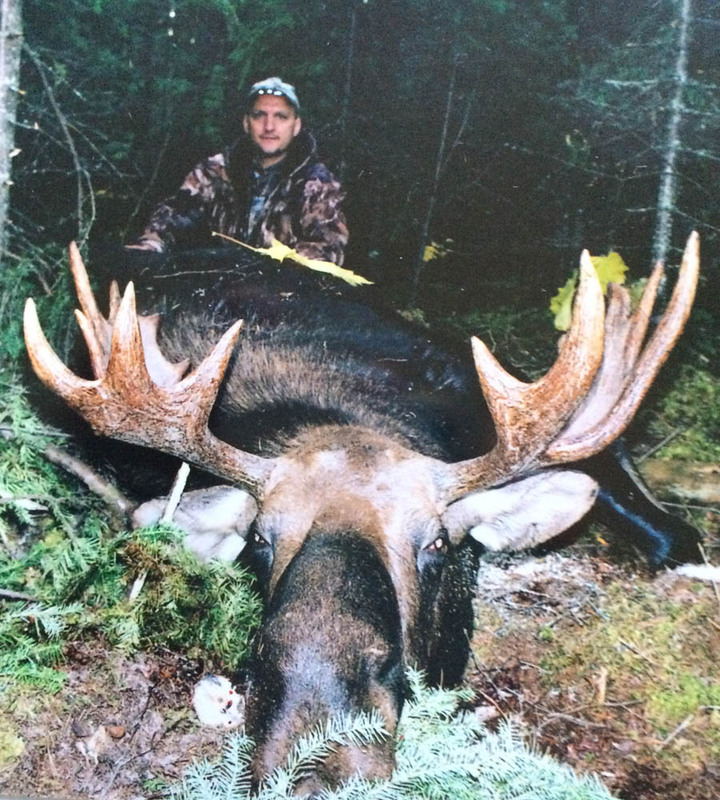 We hunt Whitetail, Mule Deer, Moose, Black Bear/Moose combo hunts and waterfowl hunts in the fall. In the spring our main focus is going after big bruin black bears. Our lodge boasts all the amenities of home. Accommodations include 2 hunters per room with 5 bedrooms and 2 full bathrooms. Our cook makes sure you are well fed with delicious homemade meals. We also have full cell phone coverage, wireless internet, and satellite tv. In the evenings, we also have plenty of room to socialize. I have been fortunate to hunt all over this great world. One place that in particular that stands out in my opinion is North Star Outfitting in Alberta, Canada with Neil Johnson; along with the great crew. I have had the privilege of doing twenty four hunts with North Star between bear, deer, goose and duck hunts. I have harvested whitetail deer on all ten deer hunts accept for one, that particular hunt I was just being picky. I was lucky enough to harvest a 200 class mule deer and a great whitetail. 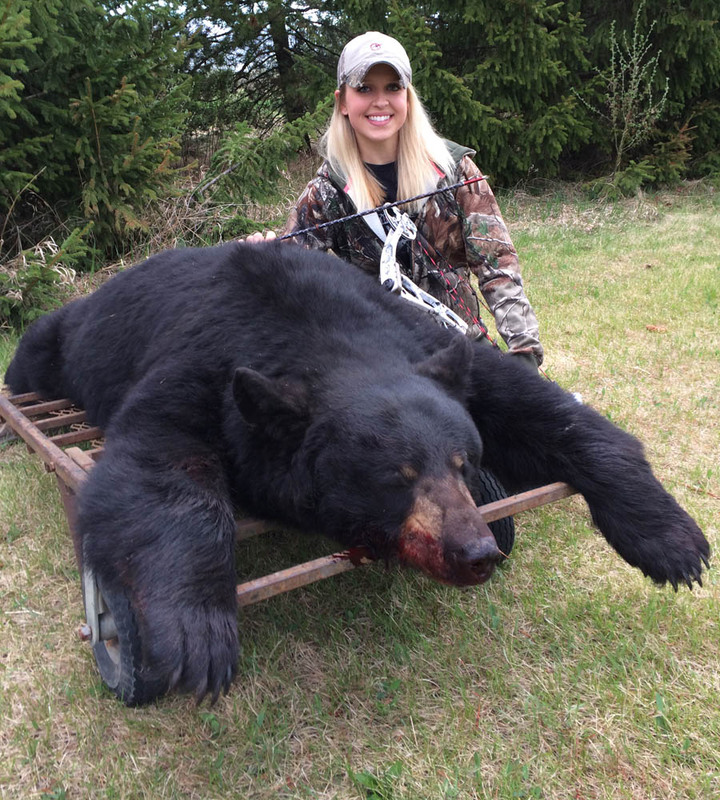 I harvested one of the largest black bears I have even taken. It was an honest 8‘2“. My hunting buddies have also been as fortunate as myself. The food accommodations are five star, no questions asked. If you are looking for a great hunt with first class hard workers and respectful, honest people give North Star Outfitting a call or myself. 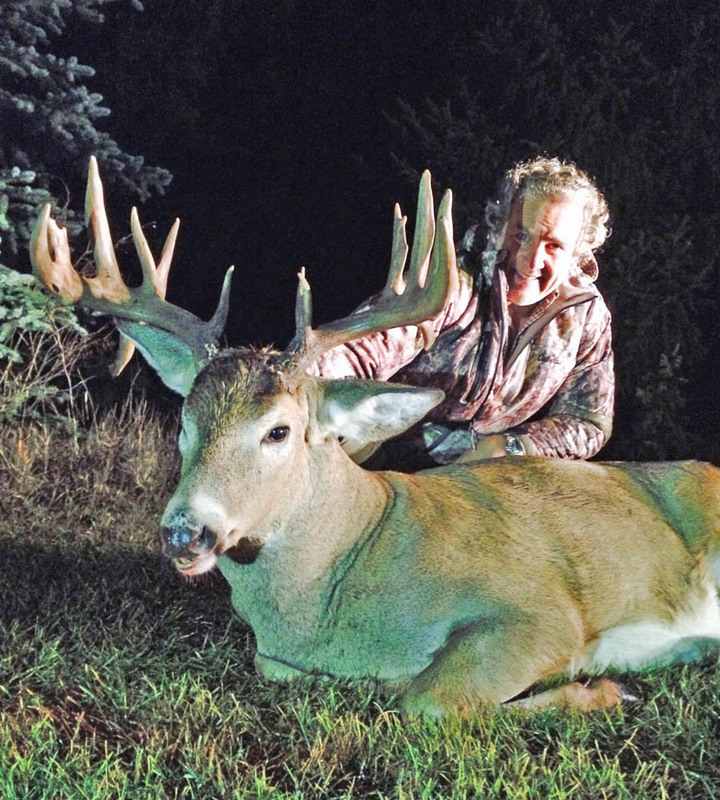 I've guided hunts in Illinois and booked hunts for several outfitters. I know the ins and outs of what happens behind the scenes and it is a shame that people spend their hard earned money for hunts that were doomed from the start, I've lived and learned as they say. This is now my 5th year with North Star Outfitting and have to say, Neil and his staff are by far the hardest working and most willing outfitter to see that me "your client" is successful. I know that when I come to camp its going to be clean, I'm fed until I burst and you are going to put me in an area that has a known shooter roaming. You have proven this year in and year out. My anticipation for the upcoming season grows stronger every year. Truly North Star Outfitters is a special place.